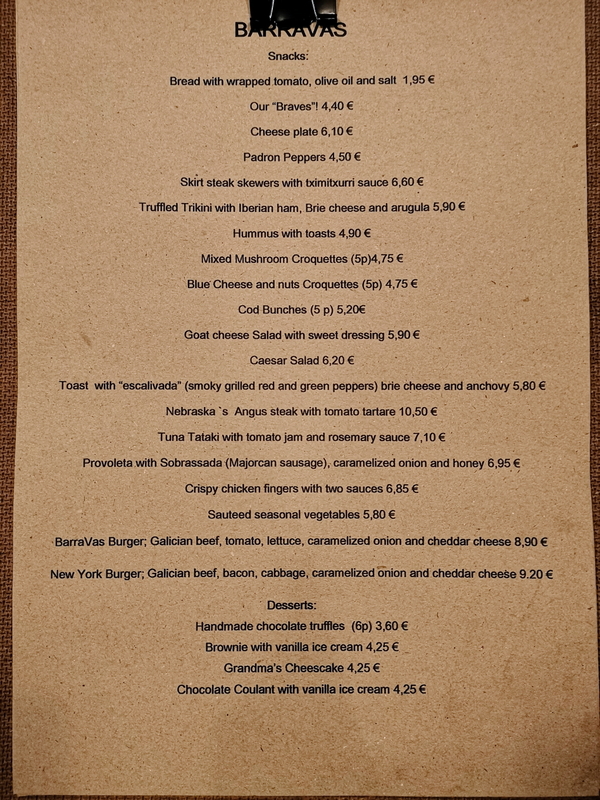 Barravas is a delightful tapas restaurant located on Carrer de Mozart, just a few footsteps away from Plaça de la Vila de Gràcia, a well-known square in Gracia, famous for its 33 meter-high clock tower. The restaurant has interesting decoration and subtle lighting, it provides a very comfortable atmosphere that is enjoyed by both younger and older people alike. We went on a Friday night with our Mexican friend Pablo to have some dinner and it was an amazing experience. Type of atmosphere: Comfortable, all ages, friendly. 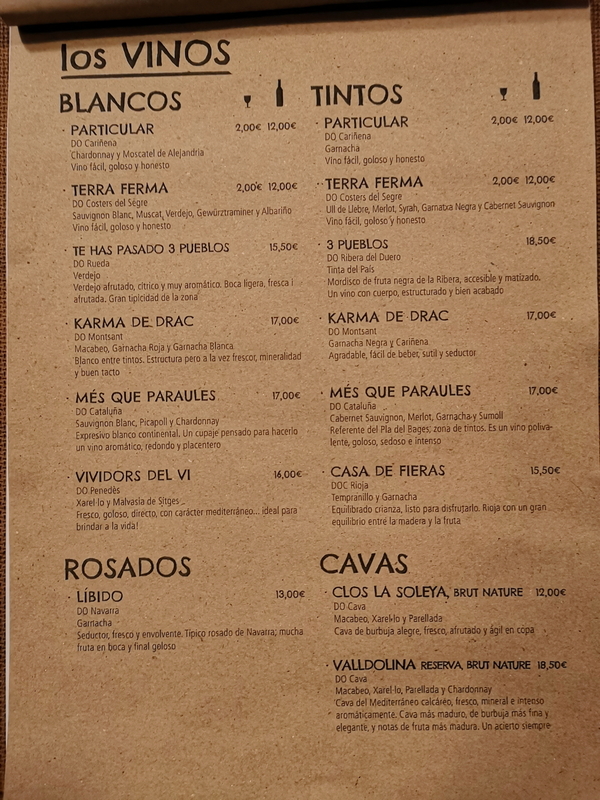 Average drink price: Wine menu. 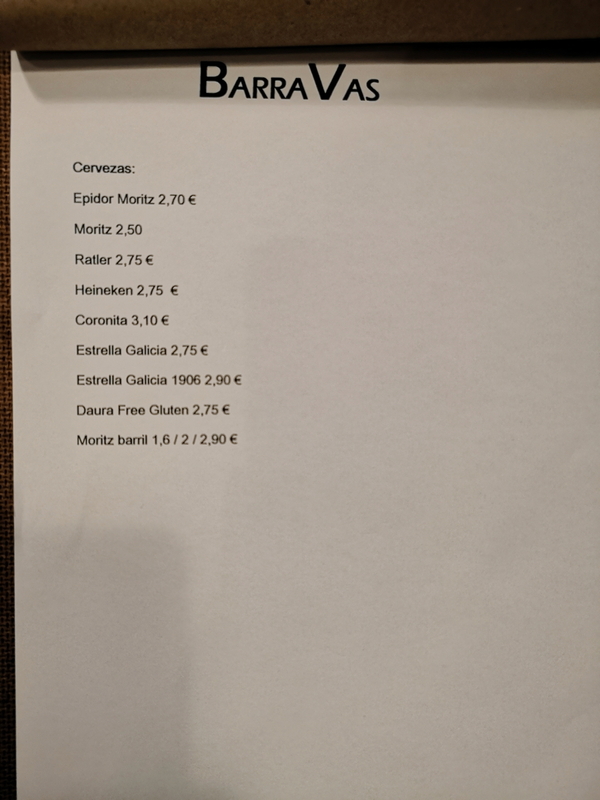 Beer menu.